FAMILY MAN—Delivering the keynote address at the Cardinal O’Connor Conference on Life at Georgetown University Jan. 19, Cardinal Dolan called the late NYPD Det. Steven McDonald a prime example of the “power of one” for the peace and reconciliation work he accomplished after he was shot and paralyzed in the line of duty in 1986. Det. McDonald, who died in January 2017, is shown with his wife Patti Ann and young son Conor in this 1988 photo. Cardinal John O’Connor was a powerhouse of faith during his 16 years as Archbishop of New York and 54 years of priesthood. His legacy is keenly felt in many arenas, but nowhere more so than the pro-life movement and ministry he lived to his core. Cardinal Dolan delivered the keynote address at the Cardinal O’Connor Conference on Life at Georgetown University in Washington, D.C., Jan. 19, the day after the annual March for Life. The conference was held four days after the late cardinal’s 99th birthday. 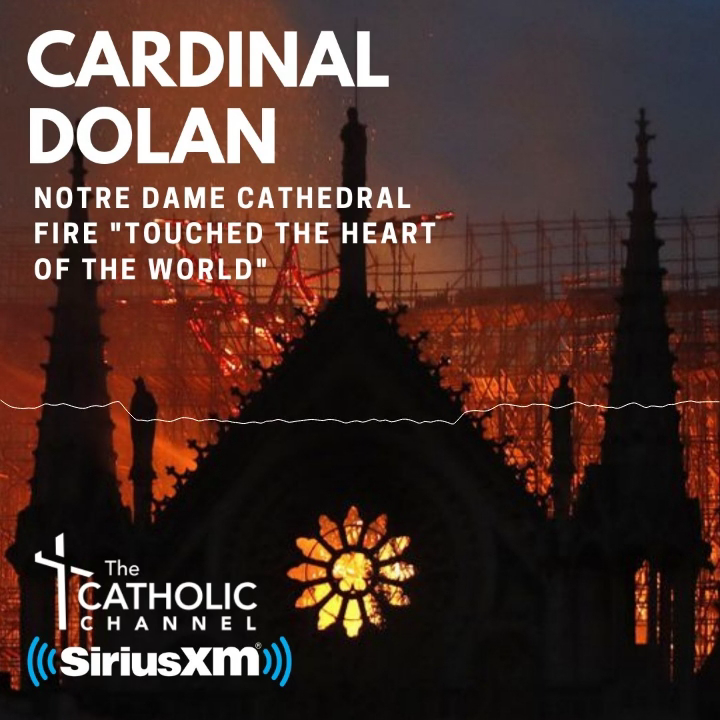 Cardinal Dolan regaled his listeners at the sold-out conference with stories about Cardinal O’Connor, one of his predecessors as Archbishop of New York. He shared quick comments from ordinary New Yorkers, who have told him over and over during the past decade about their personal exchanges with Cardinal O’Connor. One was a 22-year-old senior at Fordham University, who introduced himself as “John Joseph.” He told Cardinal Dolan “his mom was considering aborting him until she heard (Cardinal O’Connor) speak so tenderly and compellingly about the sanctity of pre-born life at a Sunday sermon.” So, she had the baby and named him after Cardinal John Joseph O’Connor. Cardinal Dolan lamented he had not focused more on philosophy instead of “practical” courses during his student days. The cardinal said he has since tried to compensate by reading the classics of philosophy. He said he wished he were better versed in the wisdom of Aristotle, Plato, St. Augustine, St. Bonaventure and St. Thomas Aquinas, and even the empiricism of Comte, the utilitarianism of Bentham and the pragmatism of Mill and James. Those words set the tone for Det. McDonald’s 29-year journey of peace and reconciliation, which brought him across the world. To fellow officers, he was a true “officer of the peace,” accompanying wounded fellow cops, encouraging the families of officers killed in the line of duty and holding reconciliation sessions between victims and perpetrators. The actions of Det. McDonald, who died two years ago this month, were grounded in a living faith “which he insisted only came from a soul in daily union with Jesus, nurtured by prayer, the Eucharist, confession, devotion to the Mother of Jesus and the fortification of his Catholic faith,” the cardinal said. Cardinal O’Connor, in the first years after Det. McDonald was shot, became like a family priest for the McDonalds and their then-young son, Conor. The following words of Cardinal O’Connor resound now as much as they did when he spoke them two decades ago. From a pro-life perspective, the passage of the Reproductive Health Act makes this a very discouraging time in New York state. It’s important for Catholics and other people of faith to remember for whom we fight. Also, it must be learned that the ultimate power is not in Albany or even Washington, D.C. It comes from good people who believe in “the power of one” uniting to make their voices heard.